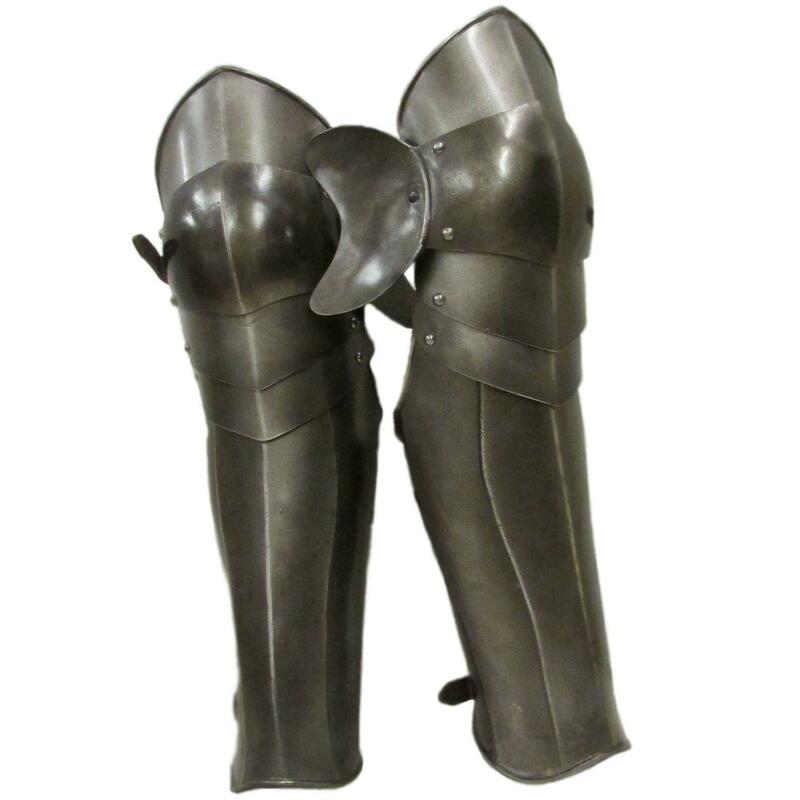 Pair of polyurethane (PU) greaves. 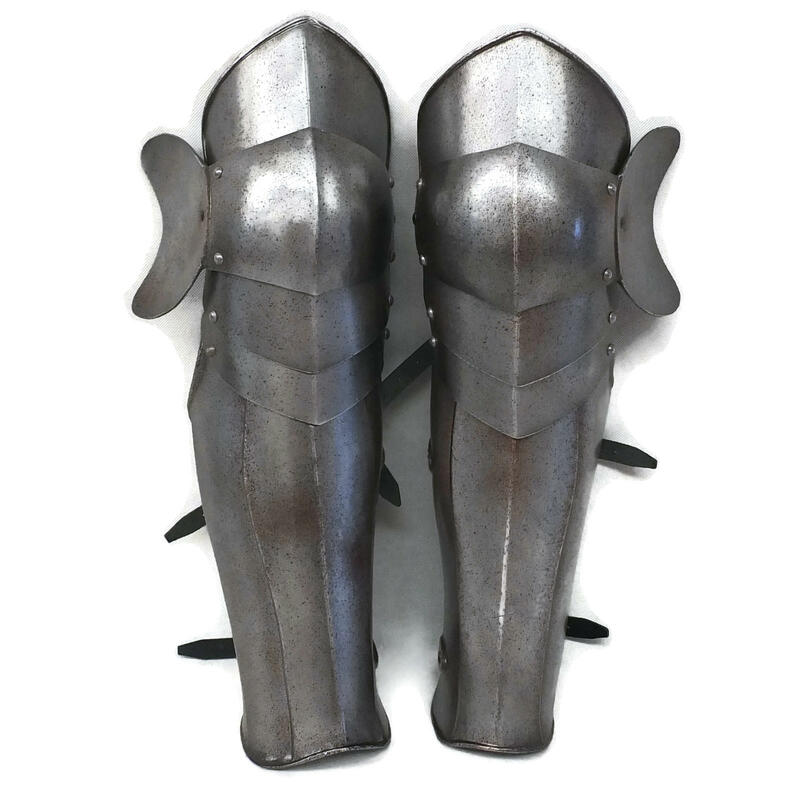 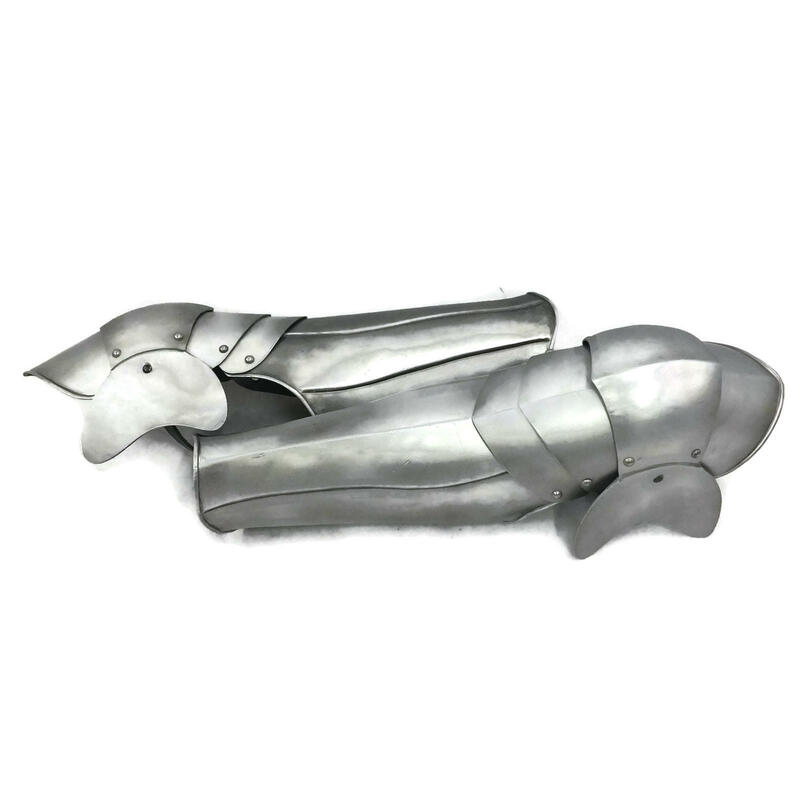 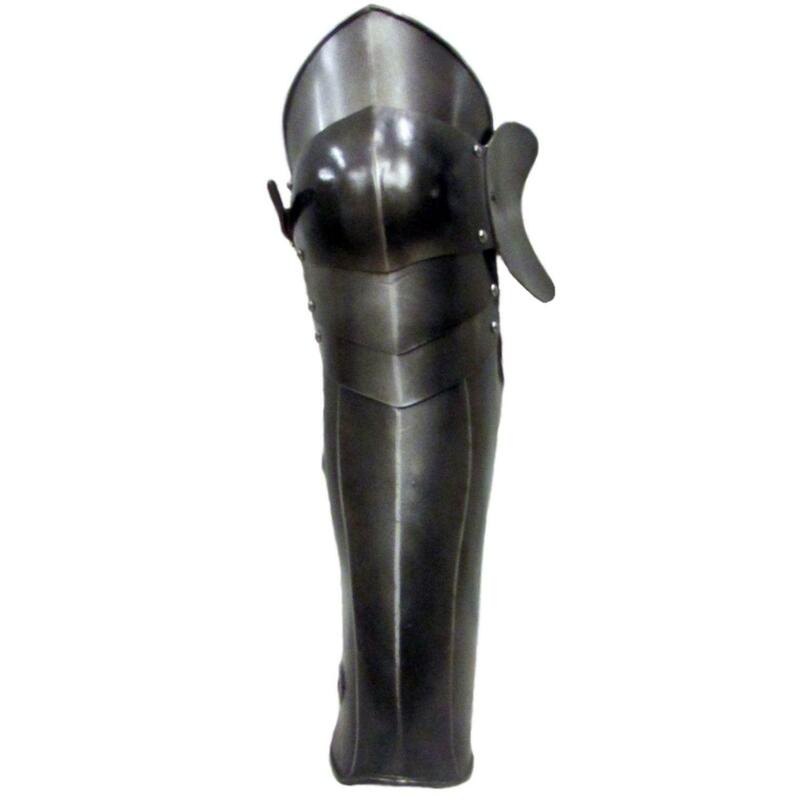 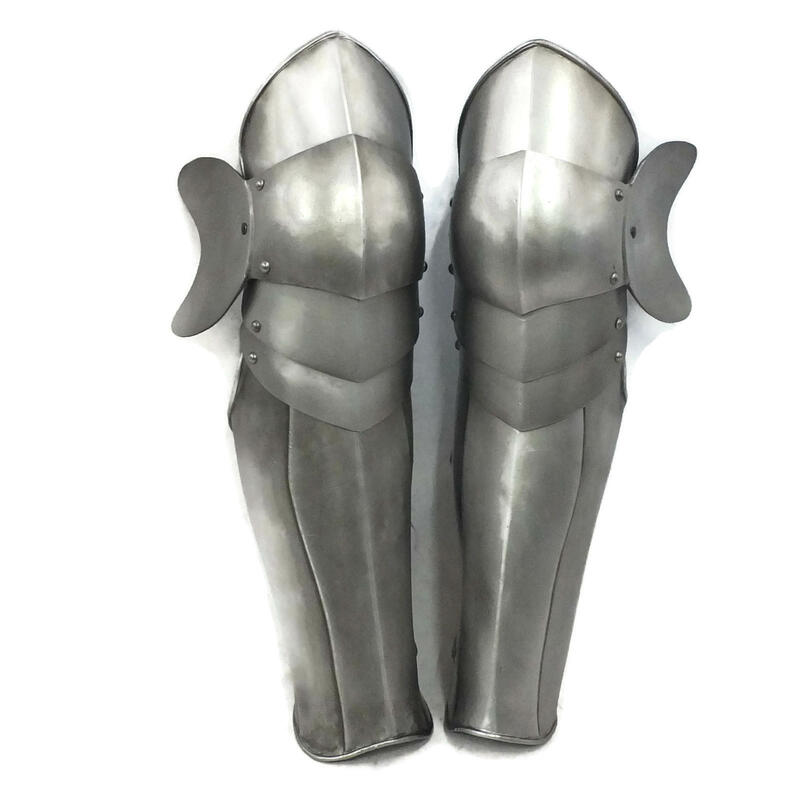 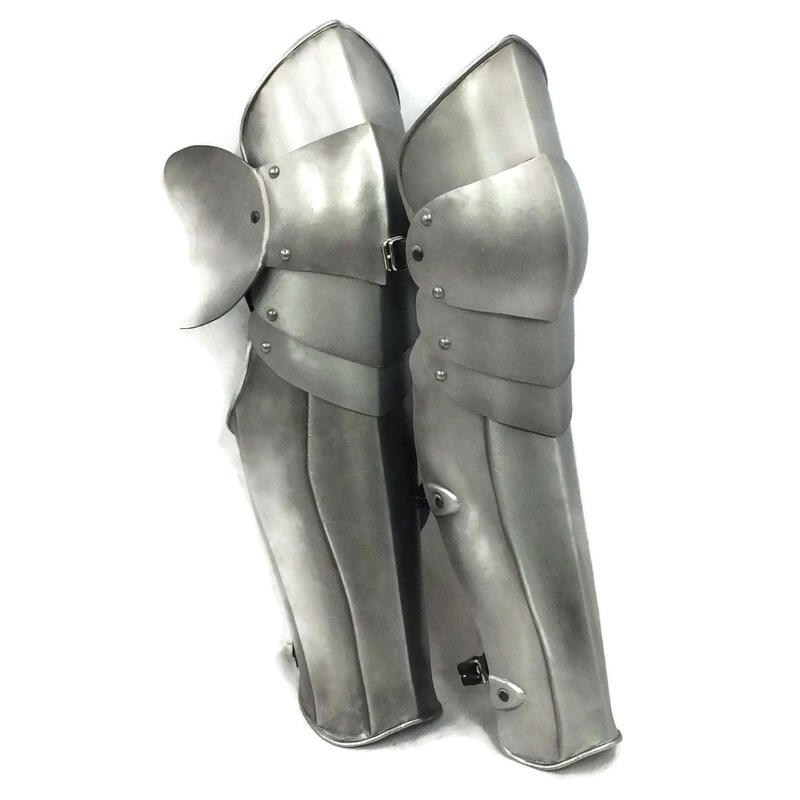 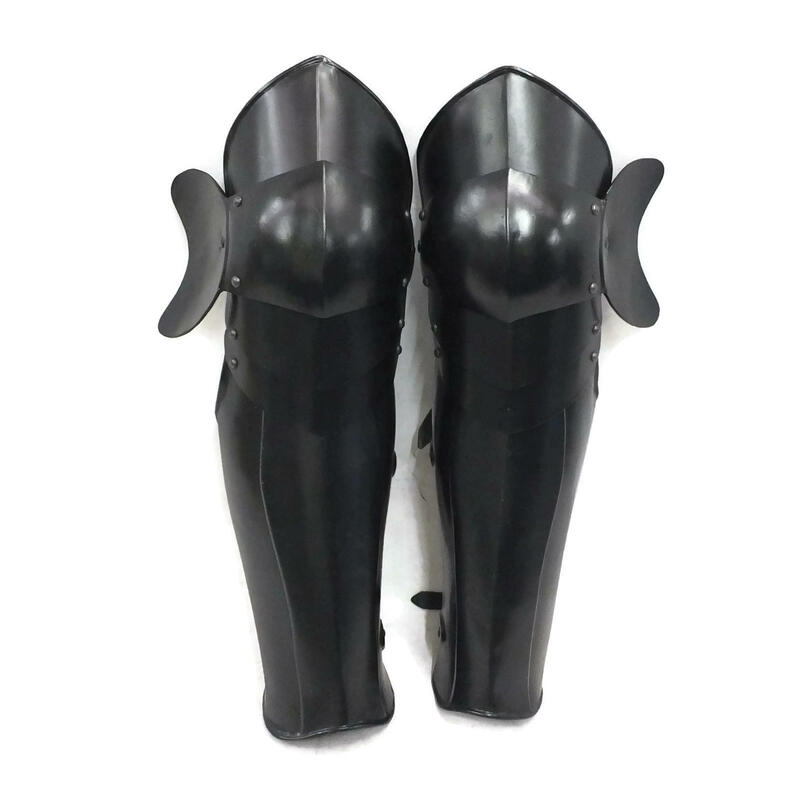 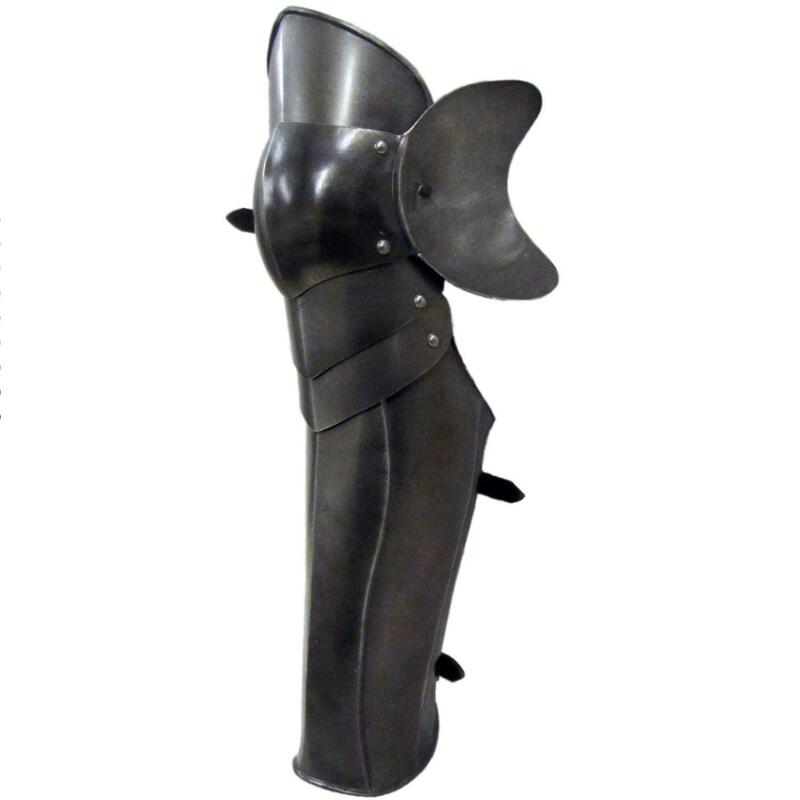 Articulated Greaves set (Leg armour). 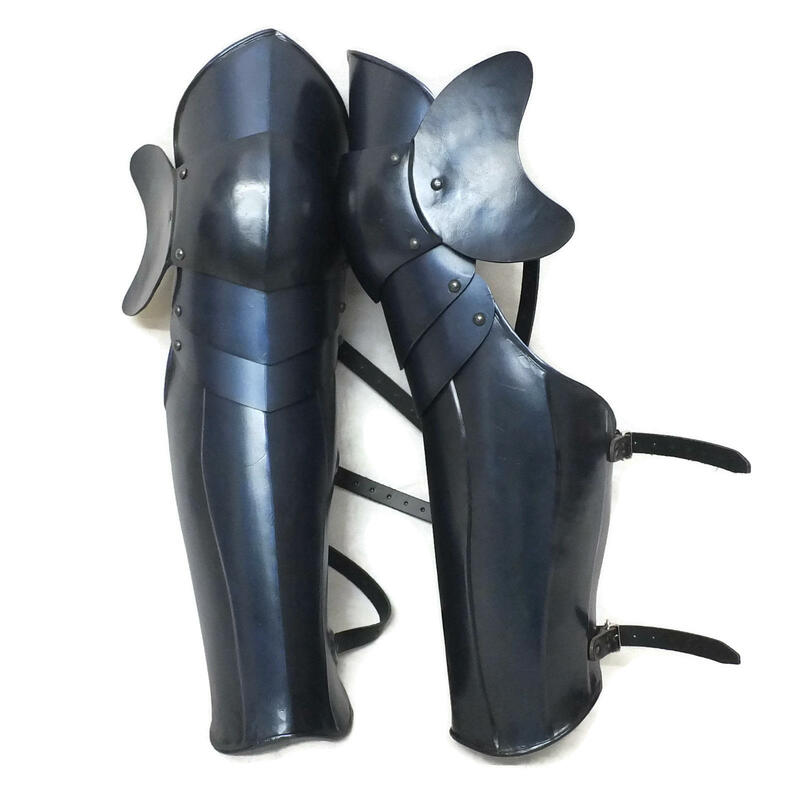 Complete with leather straps on the lower leg and behind the knee (non-leather option available).